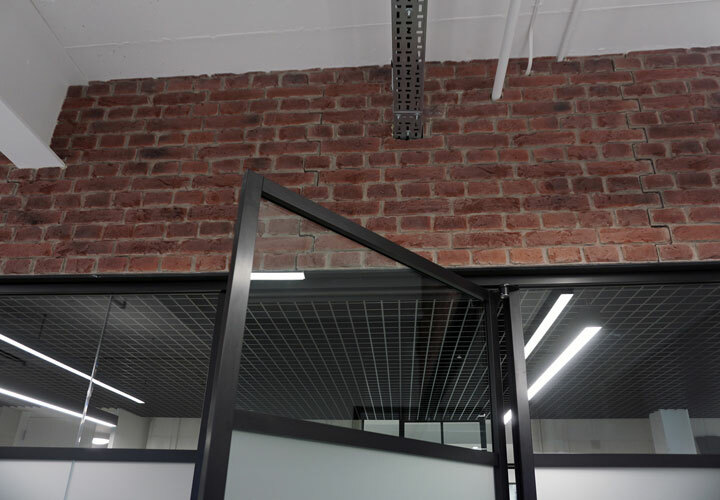 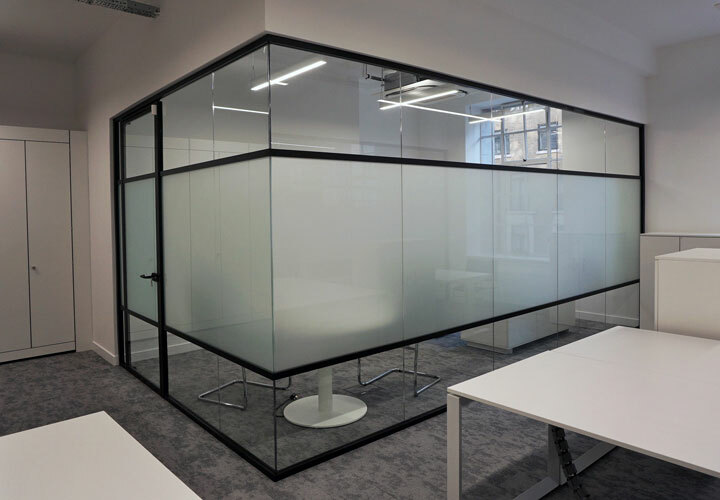 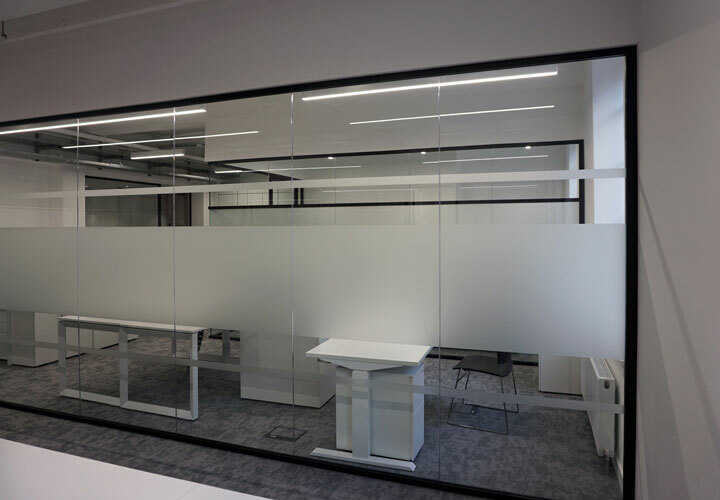 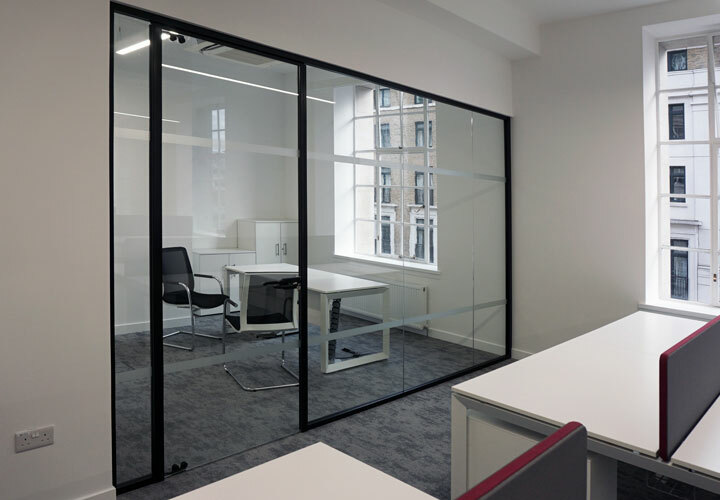 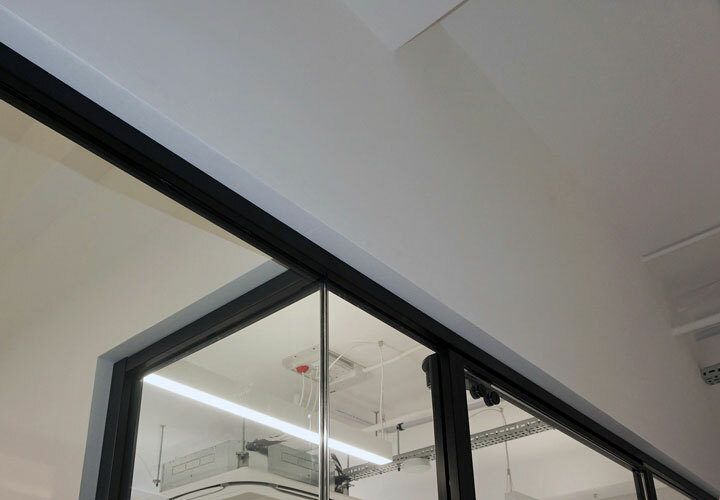 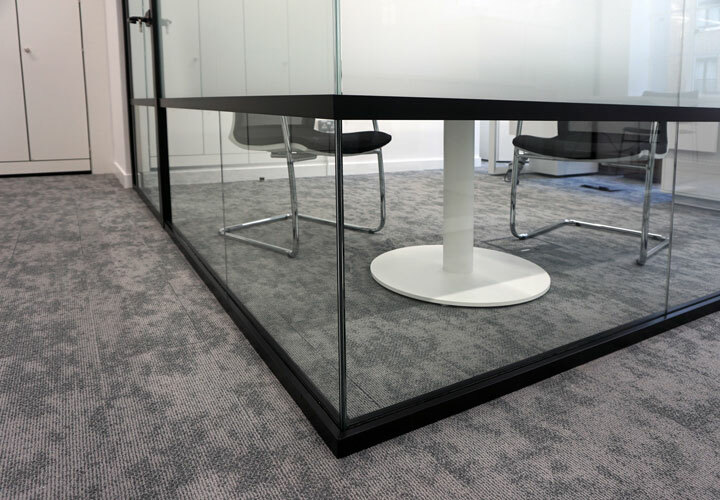 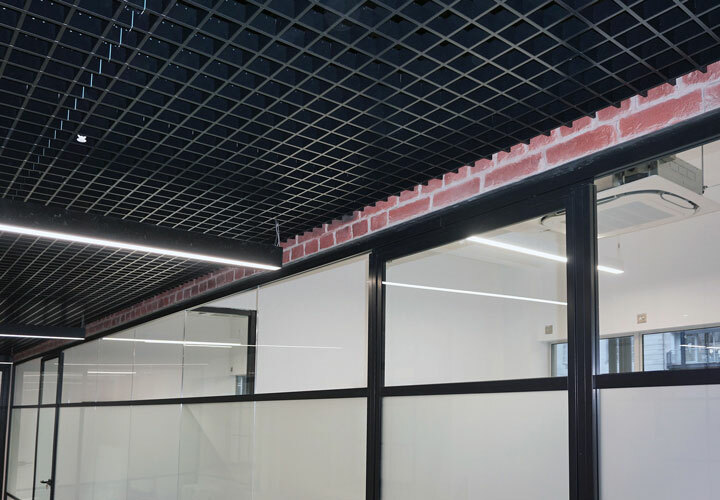 Single glazed partition system to infill dry lined solid walls and downstand using 50 x50mm black powder coated profiles. 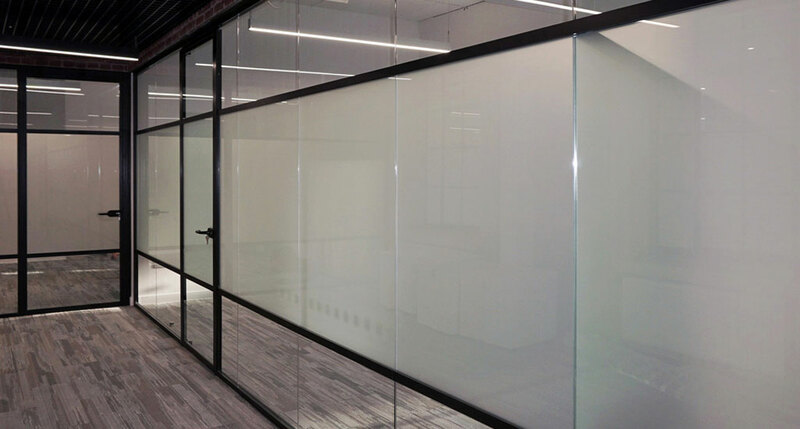 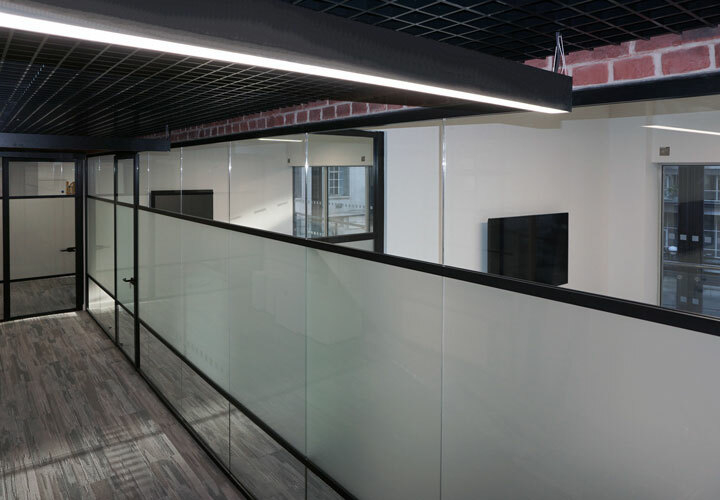 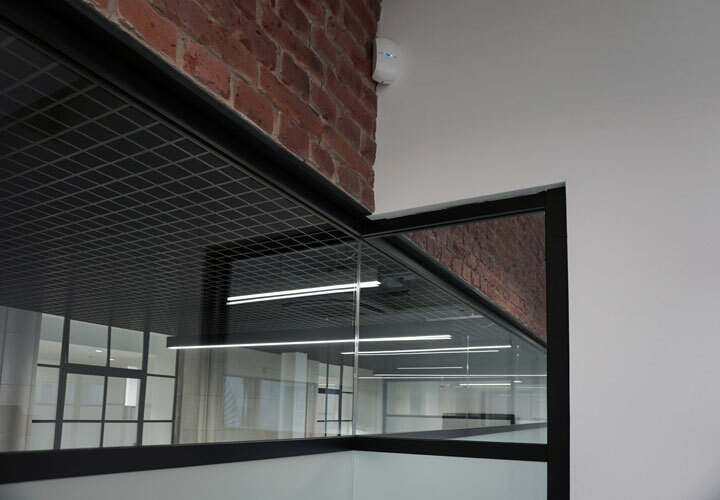 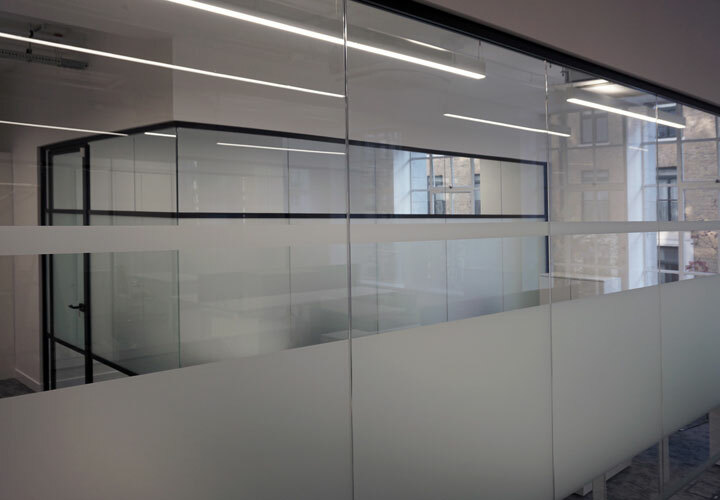 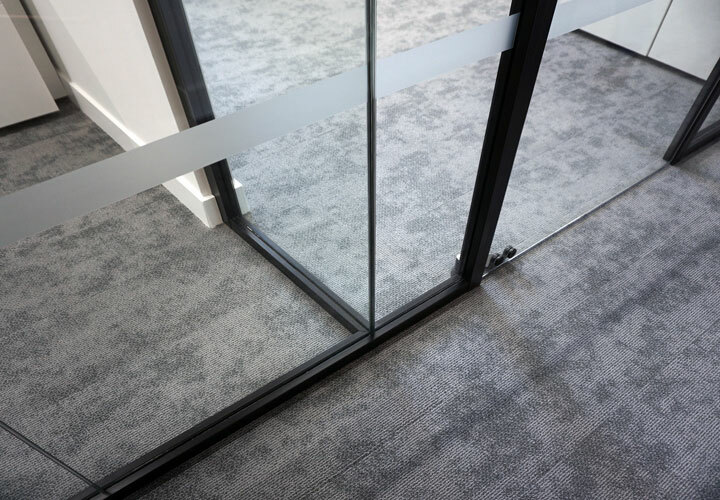 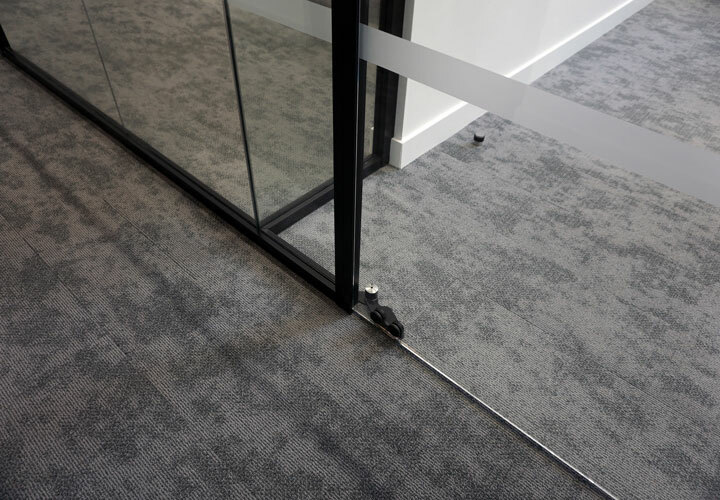 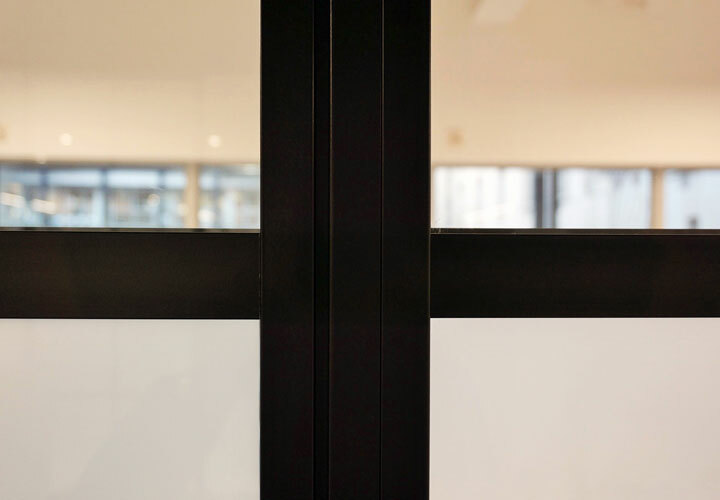 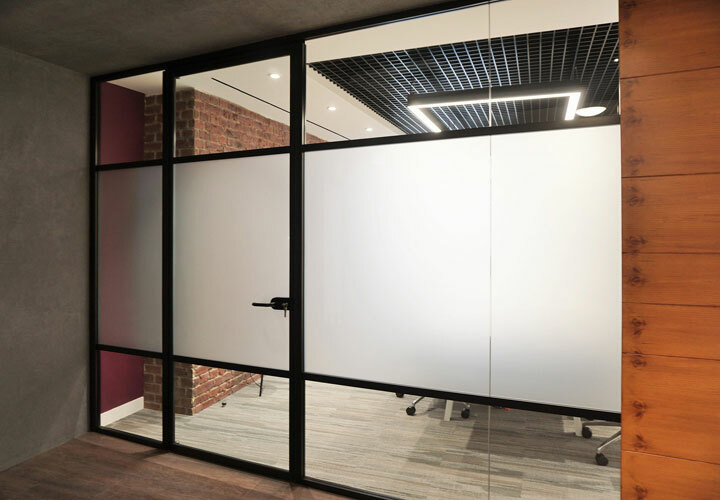 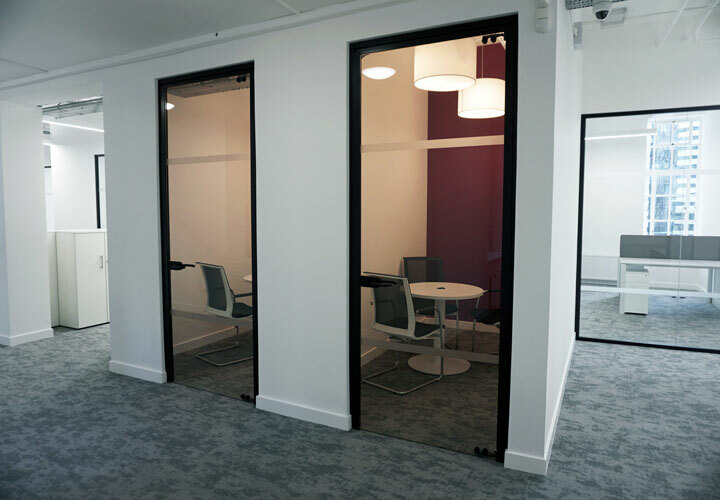 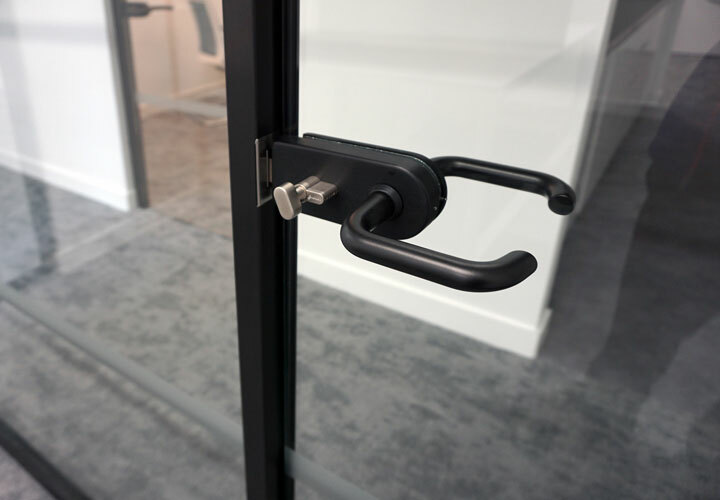 Glass doors in frameless and framed construction for added acoustic insulation, both on pivot hinges for 180° opening. 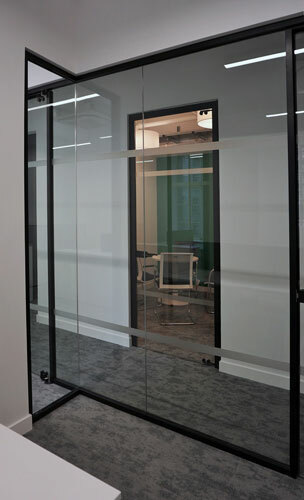 Crittall profiles with etched manifestation profiles and mirror listed window details. 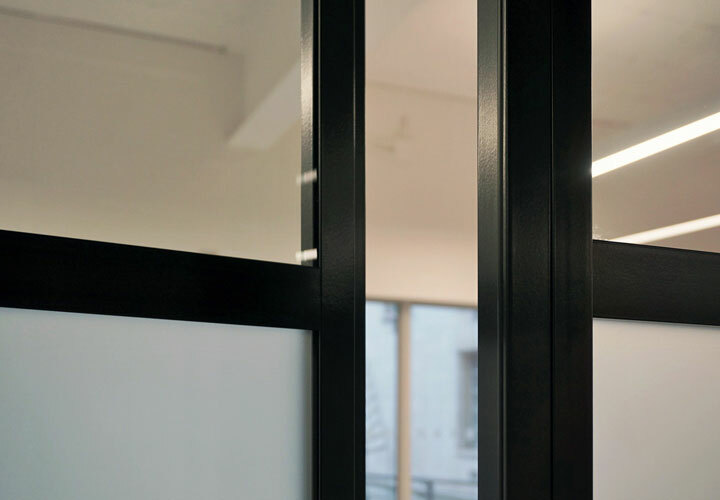 Joinery package for all solid doors and boardroom feature entrance in reclaimed pine effect finish.